Note: This was actually written in October, but it took a while for me to get around to editing and publishing it. So, my internship is over (though you’d never believe it from the small number of posts I have written). Various parts of this were written at different points over the last few weeks. As you know, Noogler training took up a large proportion of the first two weeks. Once that was out of the way, I was able to start looking at my project. It quickly became apparent that I didn’t know enough to start work on the project immediately – I needed to learn more C++ and how to use some specific Google technologies. Of course, this wasn’t a problem, since a large part of the STEP (Summer Trainee Engineering Program) is about learning, so I spent 3 weeks increasing my C++ knowledge from Objective-C and learning the technologies. By the second week in August, I was working directly on my project. It felt like I was making slow progress, and the code was some of the most complicated I have worked with, but I got to a good point by the end of my internship. A major part of the last 3 weeks of my time at Google was preparing for my interview. STEP Interns have go through (and pass) a somewhat reduced re-recruitment process to be selected for another Internship (this time a full internship). I got the interview notification two weeks before the interview, which brought an end to the weekends spent hiking (below). What did surprise me was how the interview revision guide provided by my recruiter was an almost 1:1 matching of the ‘Theory and Practise of Programming’ (TPOP) module from my course the year before. It was certainly a surprising jump to go back to the fundamentals after working on stuff that was so far away from them for the whole summer, but it didn’t take long to get back to memorising pseudocode for some algorithms like Merge sort. I mostly used ProjectEuler.net, but also made sure I could write basic algorithms for what was on the preparation guide. One of the great things about working at Google was the T-shirts. Sure, it wasn’t like it apparently used to be with the ‘help yourself closet’, but there were still lots free ones, and discounts to buy your own. I think by the end I had about 25 pieces of Google clothing, which I’ll enjoy wearing around my CS department. As previously mentioned, the mentality at Google is really fun. 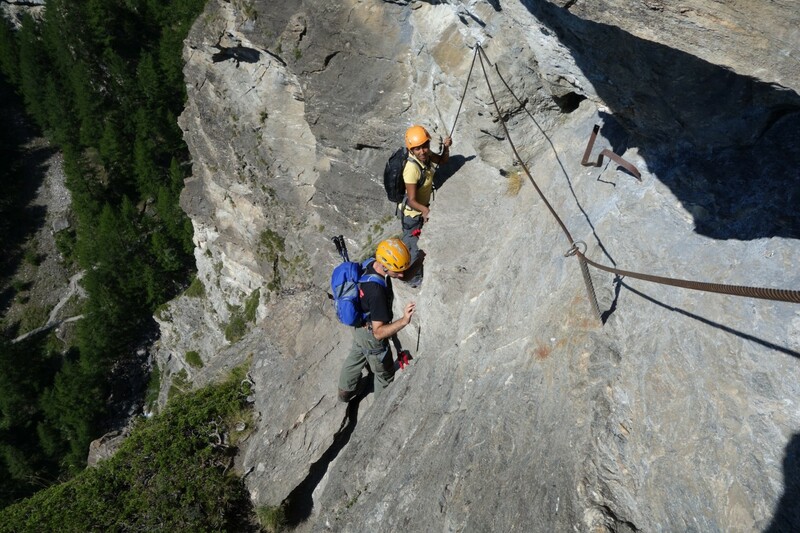 Whilst I was there, there were two team off-sites – the first was for the YouTube Analytics team to go Zip Wiring in Bern, which was fantastic fun. It was fairly close to the start of our internships, so gave us Interns a chance to get to know each other a bit better ahead of working quite closely together for the coming weeks (since the three of us went around together on the zip lines and bridges). It was certainly a lot of fun, and a new experience for me. The second off-site was a little more ‘Google-Scale’. All of YouTube in Europe got on a coach to go to the village of Alpbach in Austria for a two day trip, including a murder mystery and mini-hike around the mountains. The murder mystery was incredibly well organised – a large amount of the village was taking part and the plot twisted and turned, going deeply into the community (visits to the local estate agent, a guy in a tractor, the local vicar and the hairdresser were necessary). 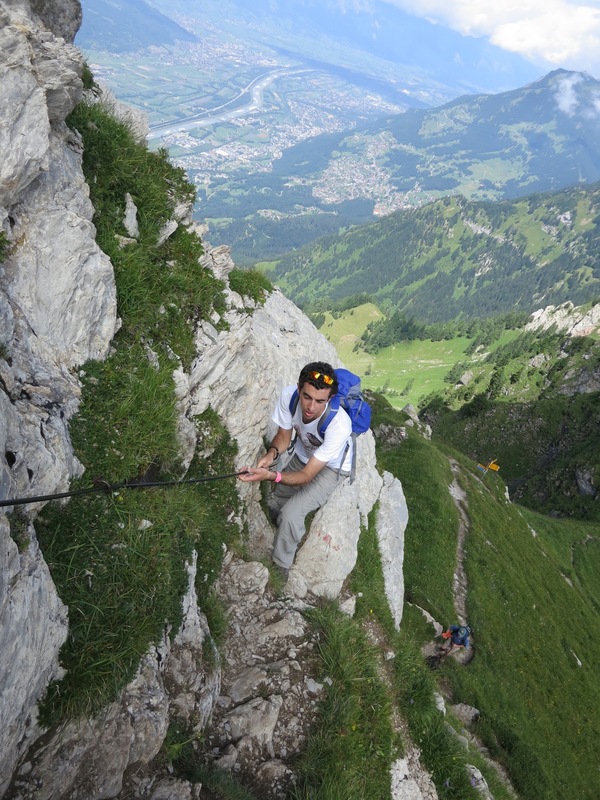 The hike in the morning was incredible – it was really interesting to notice the little differences between the Swiss mountain villages and the Austrian ones. By coincidence I was also walking with some very experienced managers from the Zurich office and got the opportunity to chat and learn from them. 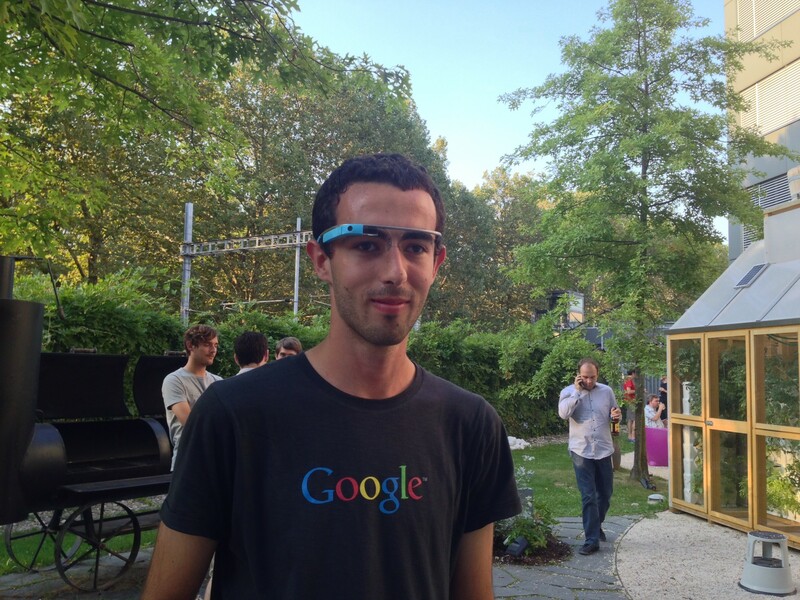 I also had the opportunity to try Google Glass upon our return from Alpbach, which was really awesome. This has spawned a few ideas for Glassware that I’d like to build over my next year at University to help people with disabilities – there may be a post to follow about this. Update: first post on this here. A post with more details about the Glassware I decided to develop will be following soon. 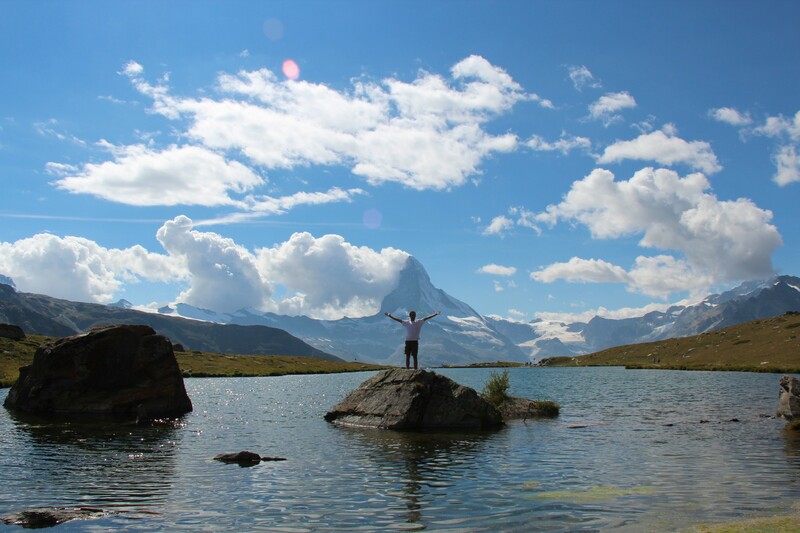 Whilst in Switzerland I had the fantastic opportunity to hike in the mountains every weekend – a really nice change from University, where there is stuff to do in the weekends (although I’m not saying I didn’t make the odd office visit at a weekend). 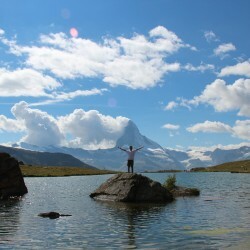 There were three trips that really stood out – a trip to Vals to visit the famous Therme (after hiking there from the Dam), a trip to Liechtenstein to hike Rappenstein and a trip to Zermatt to hike around the Matterhorn for two days. A small selection of photos included below. The final few days were quite a rush. A piece of code I had been working on for several weeks was still not quite finished and it needed documenting. As well as sorting out my de-registration from the city of Zurich, I also wanted to spend some time in the last days of my internship reading and learning as much as possible from Google’s internal and very high quality teaching resources. Is it like the film? Not really – we had a showing of the film – a cinema full of Googlers made it quite funny. Some parts of the film are surprisingly accurate, whilst others couldn’t be further away (Interns, for example, do not compete with each other for jobs). What do I feel I got out of everything? Where do I start? Both Engineering and Meta-skill wise, I learned a lot. From how to use various Google technologies (both external and internal ones) to how they work, and from how a project is started to how it comes to fruition. I also learnt a lot about how projects are developed in teams and about large scale development, as well as just how much fun work can be, and how true ‘work hard, play hard’ is. I also learned a lot about myself – after arriving and realising the wealth of activities and opportunities, I made a deal with myself that I would say ‘Yes’ to every opportunity that presented itself to me. 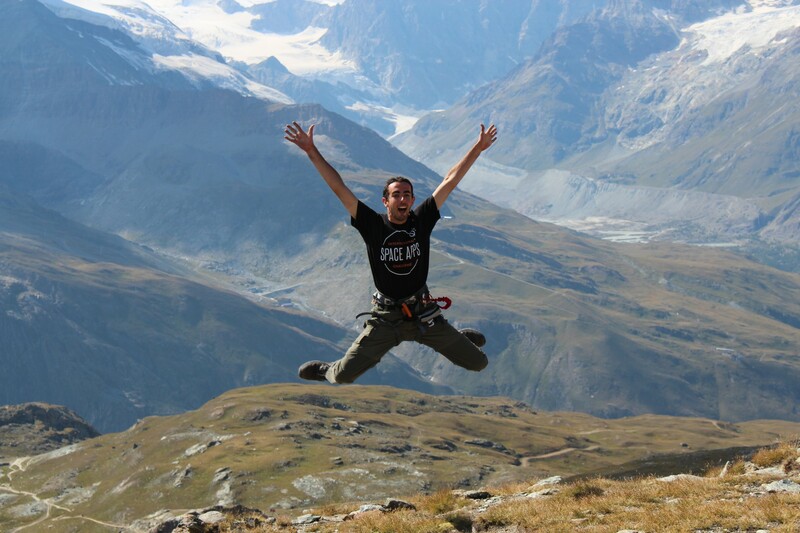 I couldn’t be more glad that I did that – it meant I forced myself into things I would never have done before like, from a ‘Via ferrata’, to some all-day single-peak hikes, to hiking around the Matterhorn. Would I do it again? Definitely. Without question. For the sense of satisfaction and achievement I got from writing code at Google and for the amazing working environment. 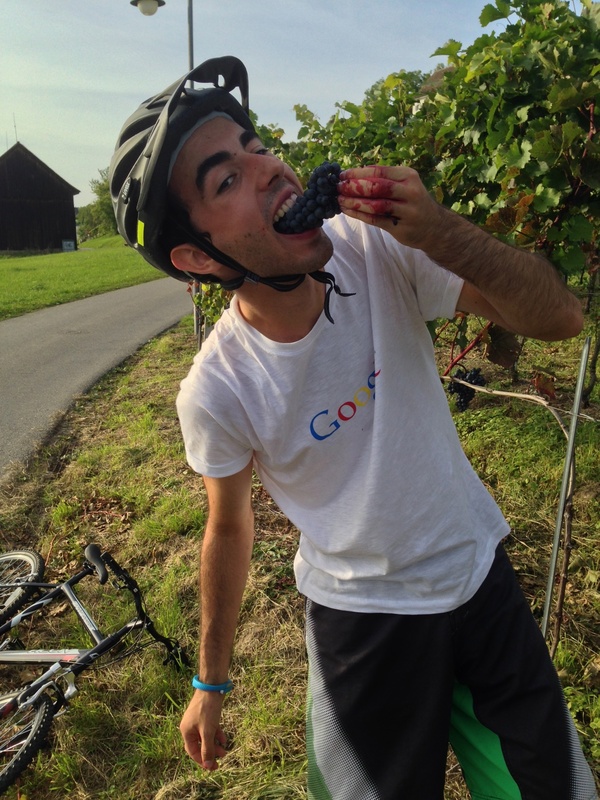 This entry was posted in Computer Science, Google Glass, Google Internship, York University CS Student Blogs and tagged cap, food, google, hat, internship, summer, tgif on December 4, 2013 by Sam. What Happened to Regular Blogging…? Well, Life Got Too Good! Note: This was actually written in August, but it took a while for me to get around to editing and publishing it. My next post will be published in the next few days. 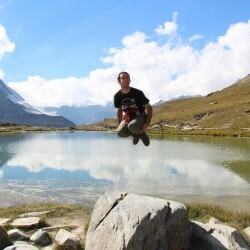 Me – The Noogler – and yes, that’s a Noogler hat I am wearing! 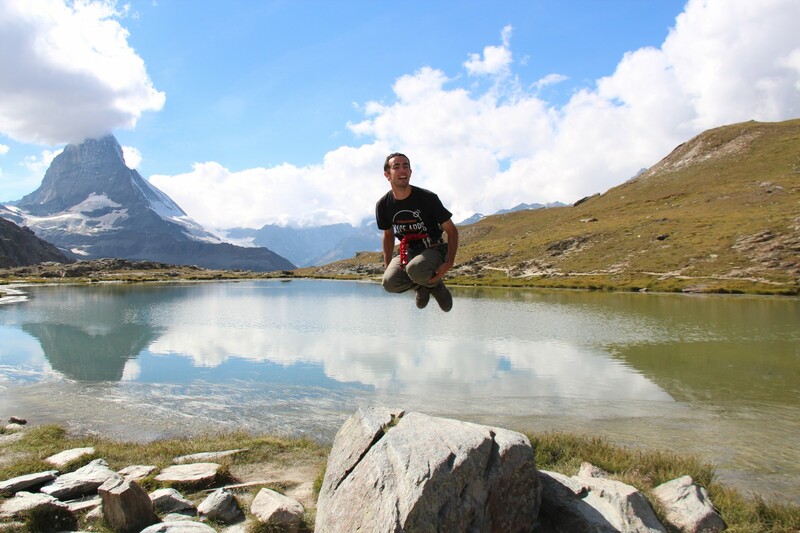 As you will remember, during my first few days I was taking part in the EMEA Scholarship Retreat in Zurich as well as starting my internship. So, on the Sunday night I headed down to the hotel for the reception and to meet all the other scholars – a bunch of incredible people who had travelled a long way to be at the event. Whilst I was not in Noogler training I had a great time chatting to all the other scholars and finalists. 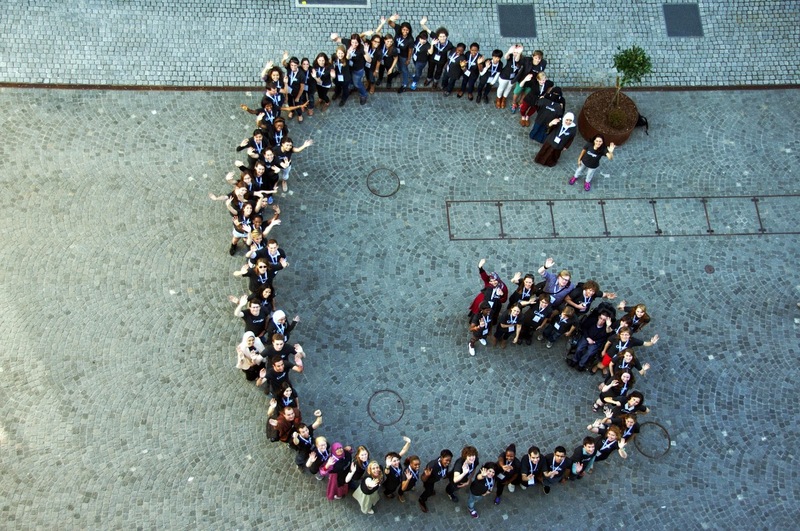 EMEA Scholars form a “G” shape. As anyone who has watched ‘The Internship’ will know, when you start at Google you are a Noogler (short for New Googler – I’m sure it could get more complex in Zurich since we are also Zooglers). 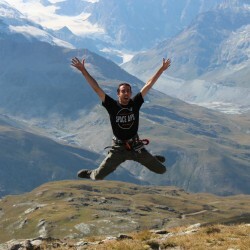 So, having been at Google for 2 weeks I am just starting to loose my Noogler status (i.e. there are newer Nooglers in the office), which is a shame since it’s kind of a get-out-of-jail free card for doing silly things in the office. Now, here, I’d love to be able to give you a full account of the last two weeks. But (you knew there’d be a but right? ), as you might guess almost all the information is confidential. So, here follows an account of the non-confidential bits (which basically means the full Noogler experience minus anything technical). Week 1 – Monday. I arrived at the office a few minutes early, registered and then we got taken up to the training rooms to drop bags, before having breakfast together. The experience of meeting everyone was pretty odd – because we had all been talking on Google Plus for months before hand, it was like meeting someone for the first time whilst already knowing something about them or whilst having exchanged a few emails previously. The day was basically full of training sessions – Life at Google, how Google worked, administration, and not forgetting collecting laptops. I got the opportunity to have lunch with my hosts as well which was awesome – the first time I started to get an idea of what I would be working on. The food was incredible as well. After the first week, the active training gradually got less and less, with more time spent at my desk learning the stuff I would need for my project. Normally at Google there is a ‘TGIF’ (Thank God It’s Friday) meeting at the end of the week (see below). 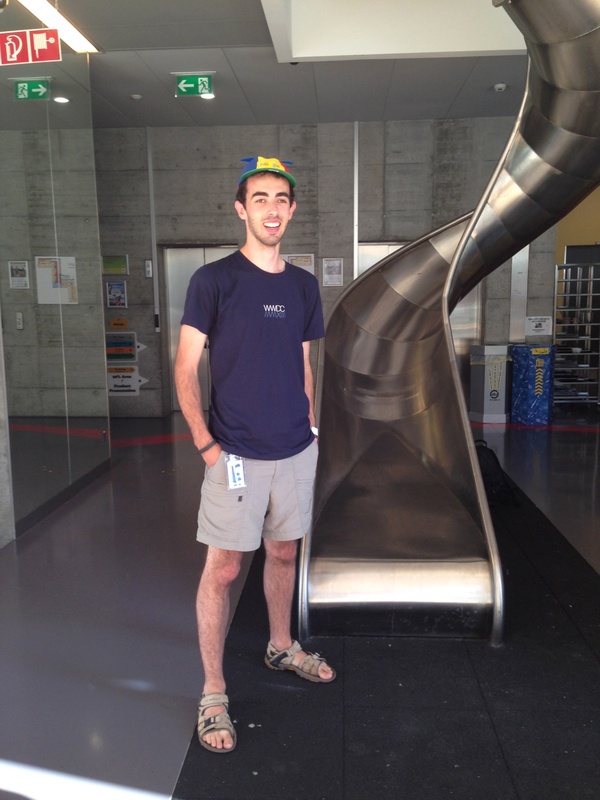 However, at the end of the first week the Zurich office was throwing their annual Summer Salsa Party! It was pretty awesome – sunny weather, beautiful venue and fantastic food. They gave us wristbands for the event that said Google, so I now have both Apple and Google wristbands on my wrist. Who is the third company going to be? 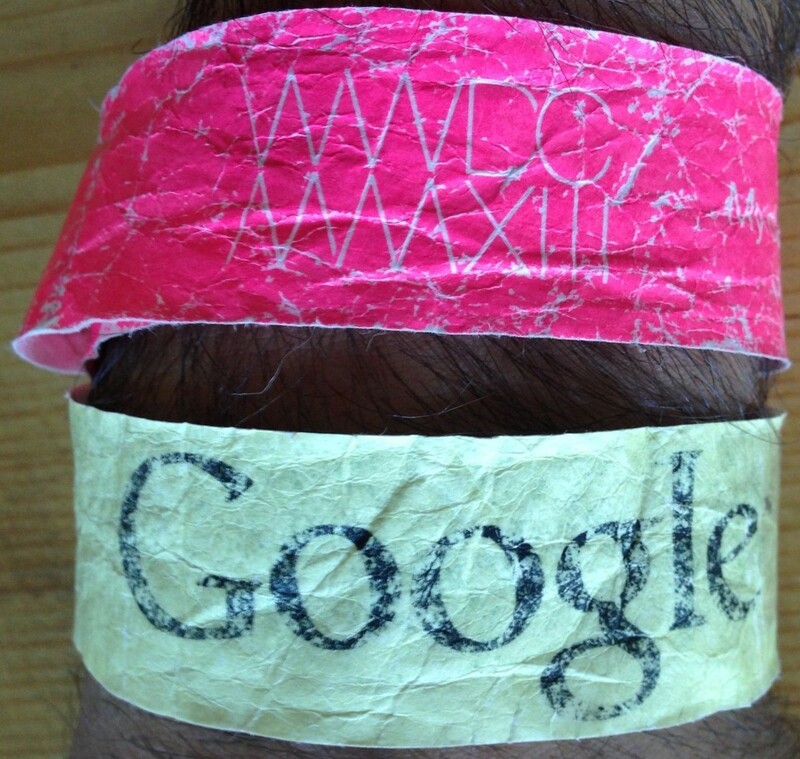 Google + WWDC Wristbands – who will be third? 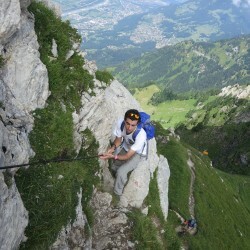 After the summer party and throughout that weekend it was Züri Fäscht – an event that only happens every three years. Straight after the Summer Party we got down to the lake to join around 1 million people watching a colossal 20+ minute firework display. That was repeated on Saturday, and the weekend was filled with the festival taking up pretty much all of the streets around the lake. In the second week there were only a few active sessions. Having just about become competent in the internal Google system, I spent most of the week learning about the project I would be working on and learning the tools that I would use. I spent most of this time at my desk working on examples my host gave me. In some ways I think I preferred this to the earlier training as we were starting to get more freedom with our time. At Google, nobody minds if you turn up at 10am and leave later in the evening or if you take half an hour out to play ping-pong (or a nap in the water lounge (below) or even a massage). Although it makes for a really relaxed style workplace, a lot of work gets done because Googlers are selected partly on their desire to drive projects forwards and see results. 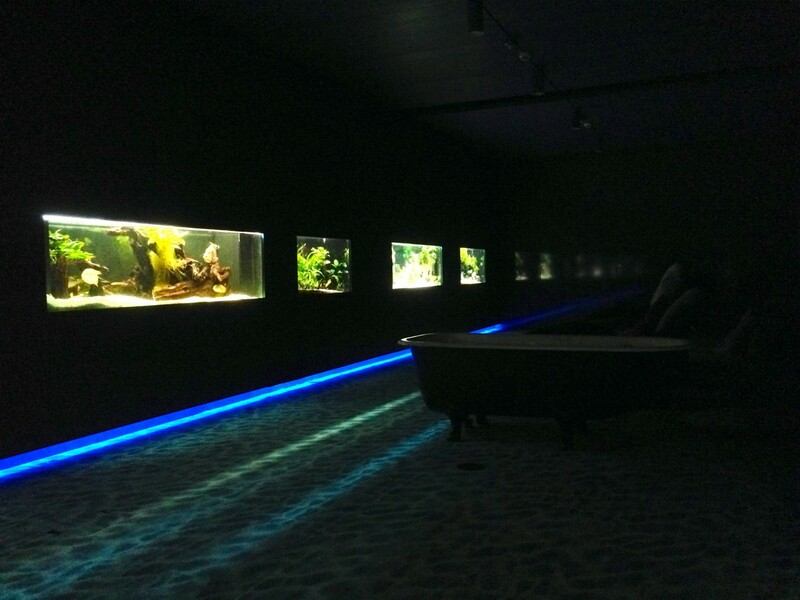 Water Lounge, Google Zurich. That’s a bathtub in the foreground full of foam cubes. Of course, one thing Google is famous for is the both free, and delicious, food. We get three meals a day: Breakfast, where there’s the usual cooked food, pastries, fresh orange juice (you juice it yourself), smoothie (again, select the fruits you want to drink, put them in a machine and Voila!) and fresh fruits; Lunch, where there is a very wide selection, ranging from the main restaurant, serving a wide variety of traditional foods; fork() – which serves Sushi; and Big Bang, serving fresh Pasta, Pizza or other Italian food. 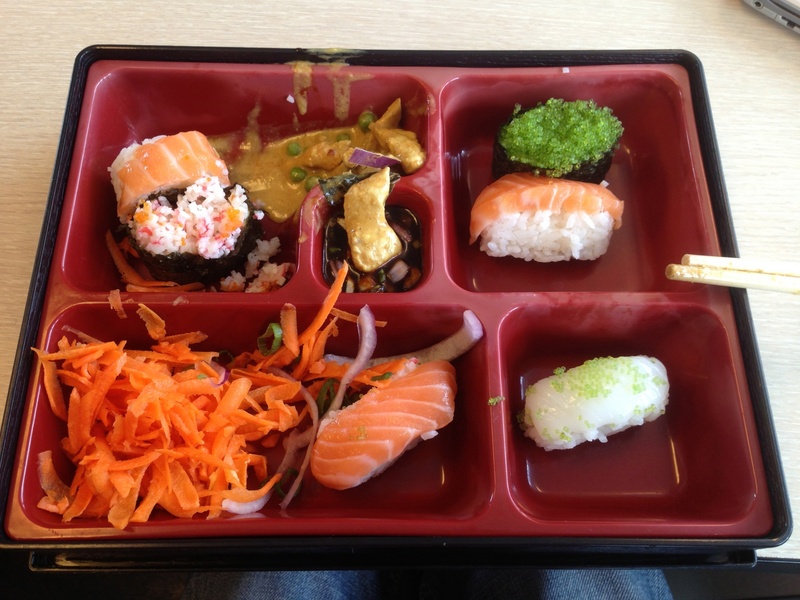 Dinner is pretty similar to Lunch, minus fork() and Big Bang. Sometimes there’s BBQ’s on offer as well. Another great thing about Google is the community – the people are great – you can just sit down next to a new person and ask what they are working on – the conversation flows so easily that eventually you learn only to do this if you have a lot of spare time though because most people can really talk. Throughout this week, a group of us Nooglers have spent a lot of time by the lakeside in the evenings having a BBQ (with a small group of us venturing into the water for a swim). Conversation is such a great thing at Google, since everybody’s interests/ideals are in some ways linked / have some similarity, and yet everybody’s cultures are so different – you end up learning all about the culture in Israel, Russia, Romania, ….. the list just goes on. Finally, TGIF. If anything sums up the social part of working at Google well, it’s TGIF. What is it? TGIF stands for ‘Thank God It’s Friday’, and in Mountain View is where ideas are shared and “Googlers ask questions directly to Larry, Sergey and other execs about any number of company issues” (Google Culture). In Zurich, they use it to introduce the Nooglers to the Googlers – at 5 p.m. the Heidi Song is played to call everybody down to Milliways for beer and chatting. After 20 minutes, we were called up and told we would be introduced as we rocketed down the slide and maybe quizzed on the Noogler fact slide we had prepared earlier. I was one of the first down, and just escaped been quizzed on my Fun Fact. As more people came down, the guys running the show did a great job of keeping the event fun – if someone said they could dance or sing, there just had to be a demo. This entry was posted in Computer Science, Google Internship, Google Scholarship, York University CS Student Blogs and tagged cap, first week, food, google, hat, internship, party, salsa, scholarship, summer, tgif, training on December 4, 2013 by Sam.